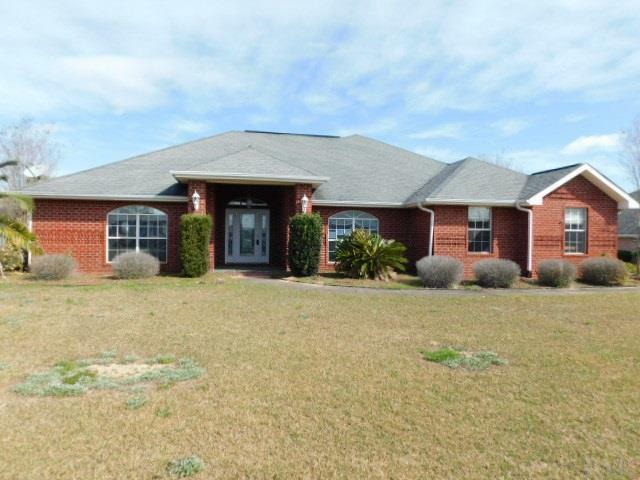 Beautiful 3 bedroom 2 bath all brick home in the gated community of Habersham! This home features a huge open great room with vaulted ceilings and a corner fireplace with custom mantel and was previously wired for surround sound. The gourmet kitchen has granite countertops, ample oak cabinets, spacious pantry and breakfast bar. The stainless appliances include built in microwave, dishwasher and smooth top range! There is a built in desk and closet just off of the kitchen. There is an eating area and formal dining room for those special gatherings. The laundry room includes a convenient hanging rack, extra cabinets and a utility sink. The oversized Master bedroom features trey ceiling and access to the back yard screened porch. The Master Bath offers double vanities, separate shower, jetted garden tub and 2 separate walk in closets. Front and back porches are both tiled. Top this off with a covered patio and in ground pool! Don&apos;t miss out on this wonderful home! Seller financing may be available!